We’re finally here, five whole days in to a brand new sparkling year – excited much? Before we get into our forecast for the next 12 months, we’re polishing off our series of blogs summing up what happened in 2016; were any of our predictions right? In the third in our series, Dani takes a look at public sector cloud adoption, and whether or not it gathered critical mass in 2016. Public sector organisations are increasingly seeking to incorporate cloud services into their IT environment, replacing legacy on-premise infrastructure. The transition will bring its own challenges, which is where we will see an adoption of hybrid cloud models, i.e. a combination of cloud and legacy infrastructure. Research from the International Data Corporation suggests that by the end of 2016, 80% of enterprise IT organisations will commit to hybrid cloud architectures. As government policy puts evermore pressure on local authorities to cut costs and increase efficiency, we predict that uptake of cloud services will increase. In October 2016, software and business services provider Agilisys published findings from their 2016 Cloud Adoption Survey, stating that more than a third of public sector firms have ‘no concrete plans’ to adopt cloud-based technology. Of the 180 respondents, 36% had no plans to migrate to the cloud, while 60% said that cloud adoption would help to reduce on-site maintenance and IT support requirements. Data compliance and security are the key issues holding the public sector back from mass adoption; from the challenge of migrating to the cloud to operating services in the new environment. 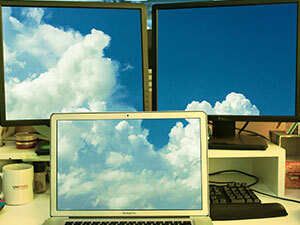 For organisations looking to expand or evolve their use of cloud, a move away from ‘off the shelf’ products is likely. As public sector use of cloud diversifies and great efficiency is sought, we are likely to see demand for bespoke cloud offerings increase. However, 39% use cloud services but were unsure which. Find out more about UKFast’s bespoke cloud range, eCloud, on our website! Why is the Public Sector Utilising Containers?